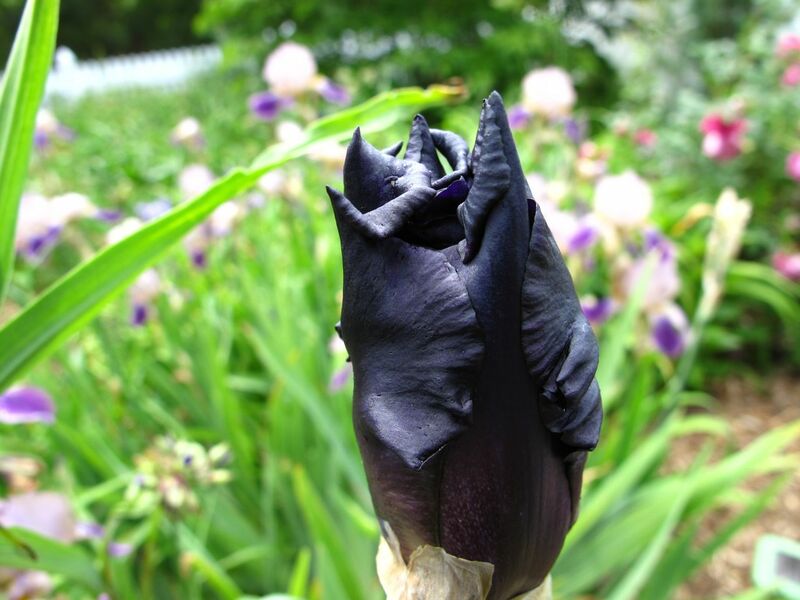 The black iris is stunning. I feel happy too at this time is the garden….there is so much promise! Yes, “promise” describes it well Elaine. Thanks. I get that calmness too–looking over the garden just brings out a sigh and a smile. Your iris seems blacker than this one. 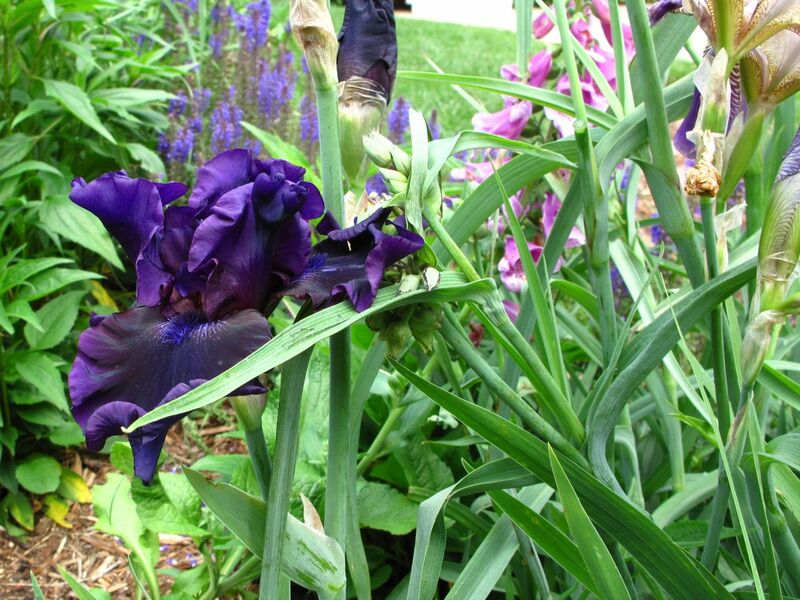 The color of the iris in the picture is pretty close–I remember it as darker last year, but it is nearly black only in certain places. A garden is a journey, I think it is the true zen experience that bonds us with the earth. Cathy, I’m so glad you’re finding pleasure from your lovely garden too. I think gardens can satisfy us on so many levels. 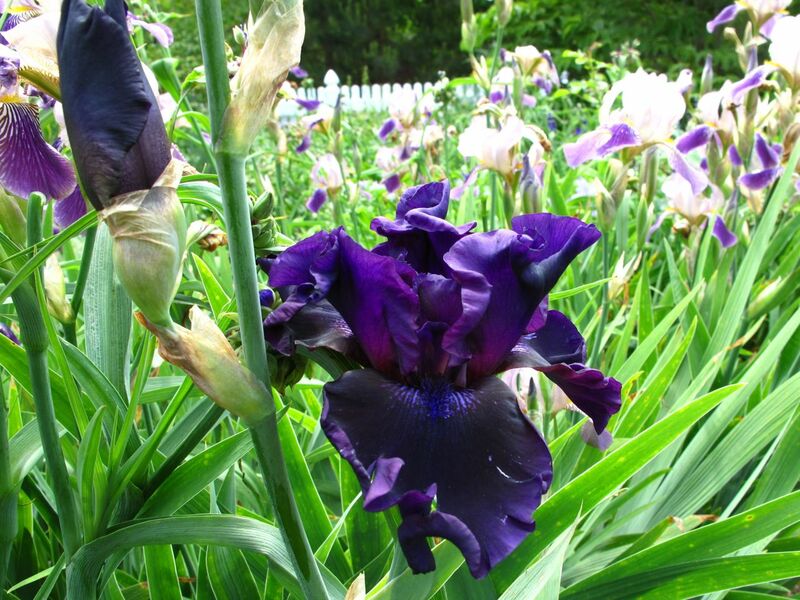 wonderfully beautiful iris, I can understand your joy when you look at it! Thank you Pauline. Some flowers just have a special quality don’t they? 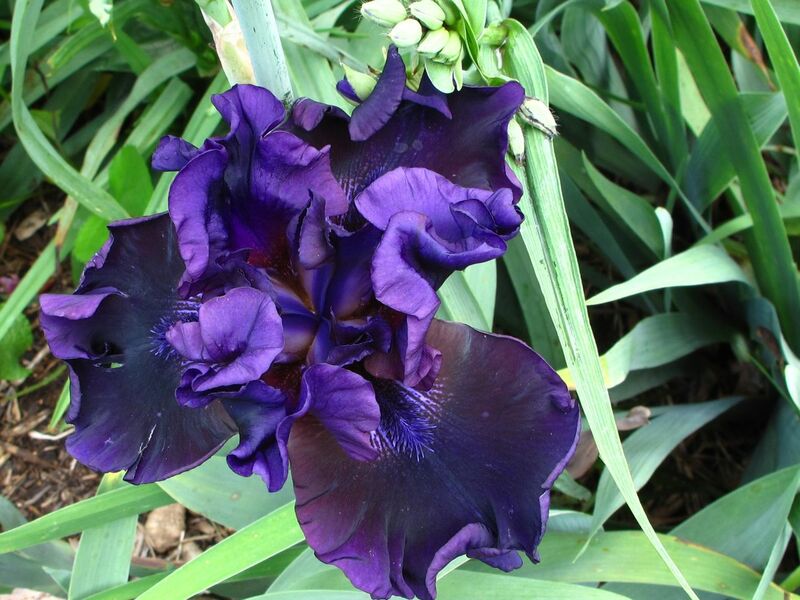 My pleasure to share this iris, Judy! Hope you can find one. Sorry I don’t know the name of this one, as it was a pass-along. Loving this rain! Peonies have never looked better! Do you feel they were late again this year? Still waiting for my peony to open. It’s only 2 years old but in 2011 and 2012 it was open on May 11, so it does seem late. I agree Malc. It is amazing. I will join the chorus in praising your iris! I am having the same challenges with my tradescantia. I cannot decide if I love them or despise them. When I am out in the morning and can enjoy their blooms, I think they have their place. I am intrigued by how mine seem to change color at random. 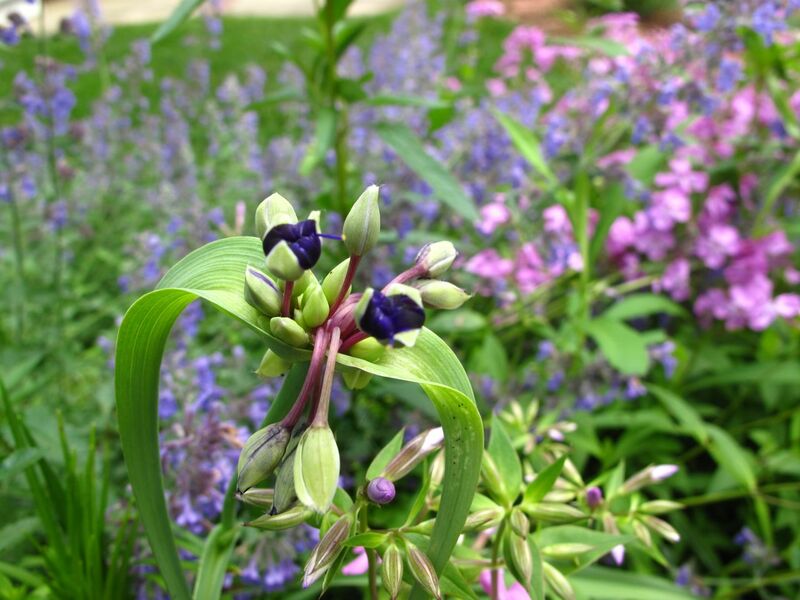 I have clusters of purple ones that stay purple for years, then suddenly a white stem or two will appear in the middle. Stunning Iris! I’ve read some place that for a true gardener – his or her garden is never perfect. There is always something to do.